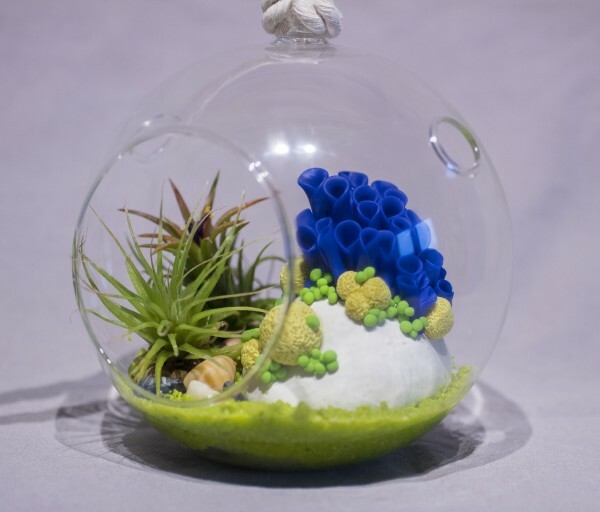 This marine-inspired world sits tucked away inside a globe-shaped glass terrarium. 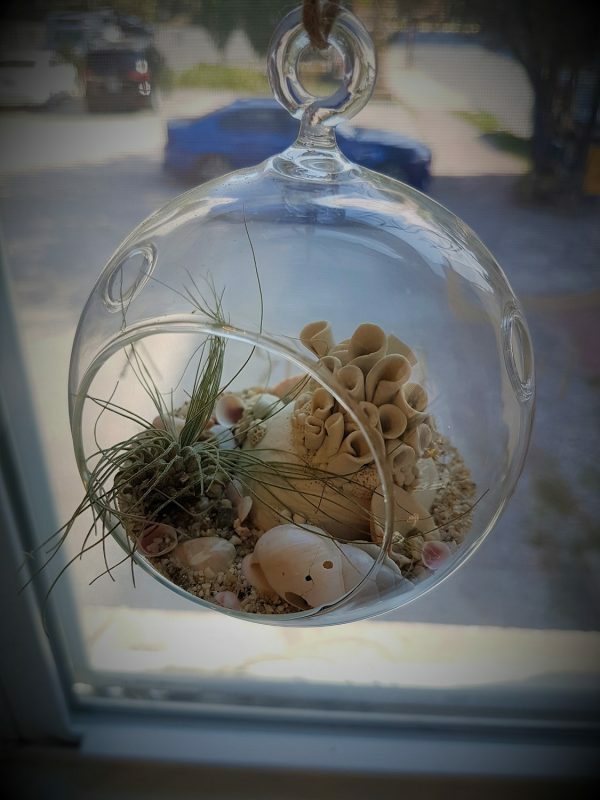 Gazing upon it’s delicate inhabitants provides a wonderful opportunity to slow down, daydream and contemplate both the world around us and other worlds unknown to us. 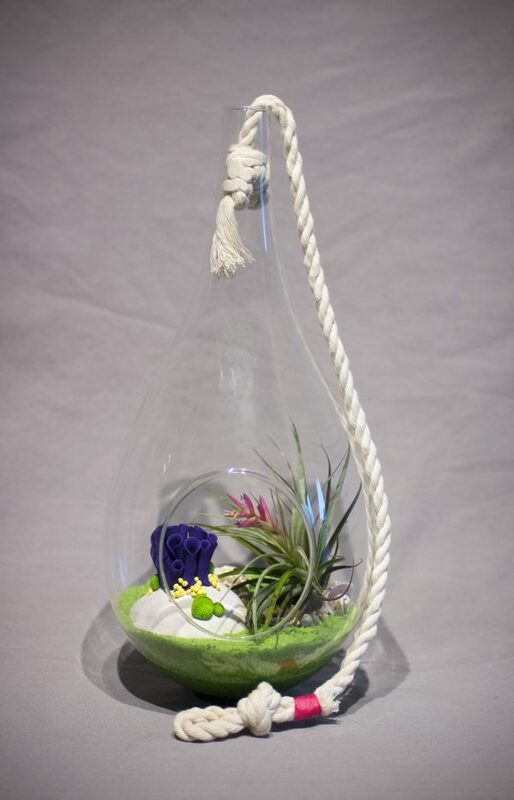 The knotted rope makes the terrarium easily hangable from any hook or tied around various structures throughout your home, inside and out. 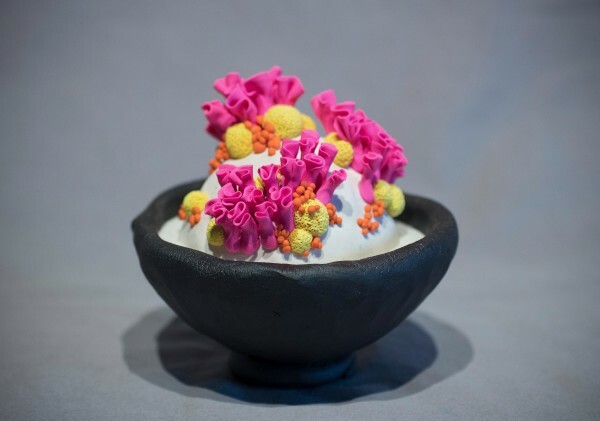 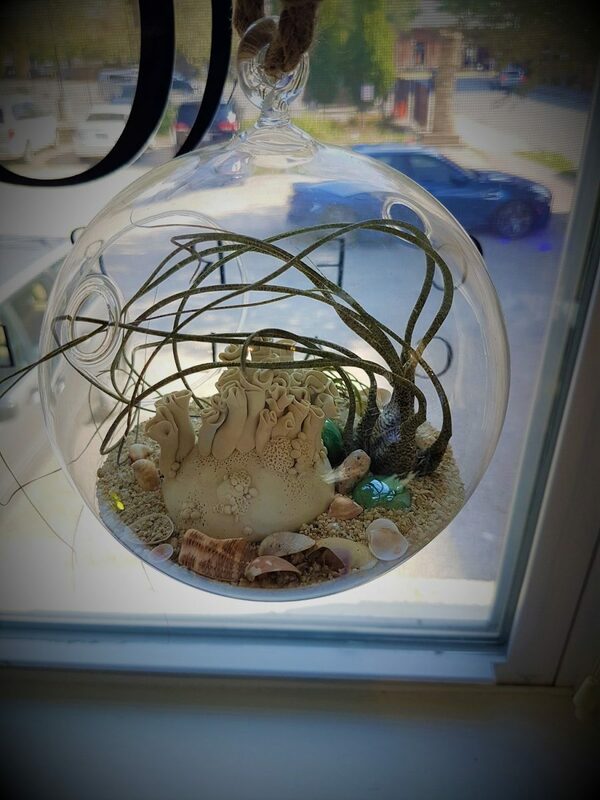 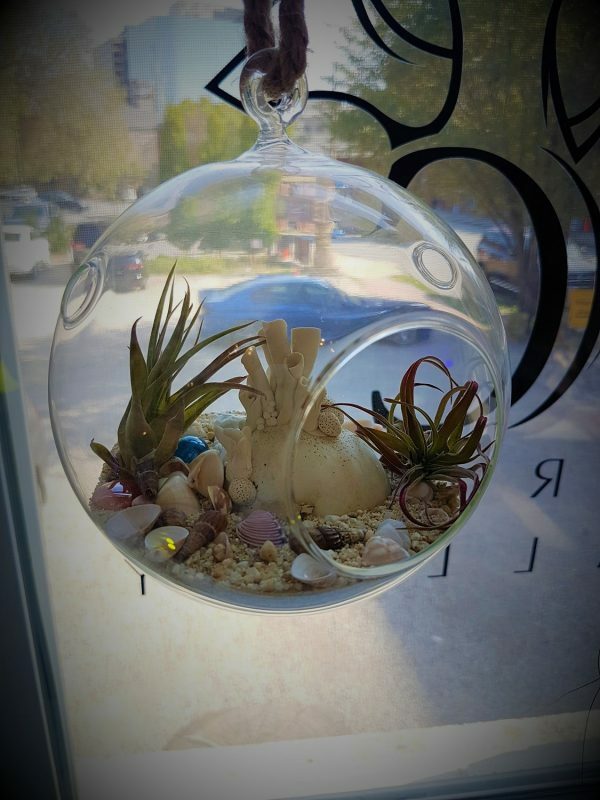 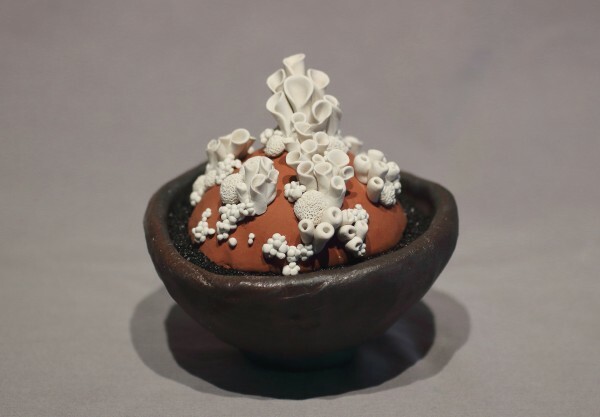 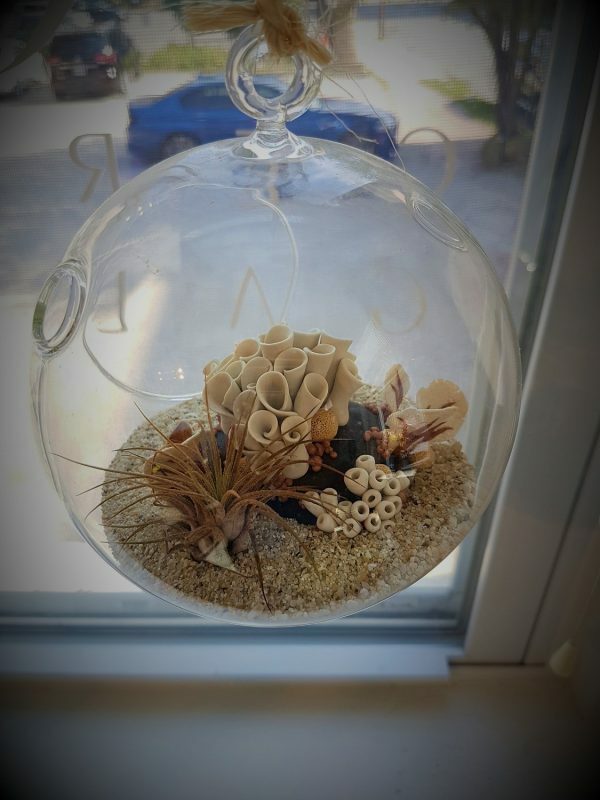 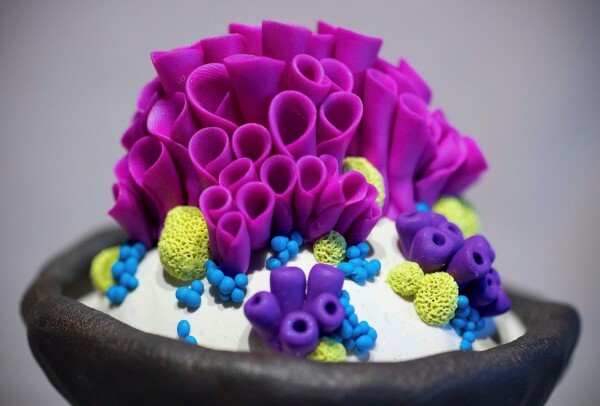 Made with sand and shells collected from real beaches and live air plants.